IU Day 2018 kicks off at midnight on April 18! NEW ALBANY, Ind. — At midnight and continuing throughout Wednesday, April 18, Indiana University will observe IU Day, a 24-hour worldwide celebration promoting engagement, university pride and giving. Show your school spirit! Wear cream and crimson on April 18. 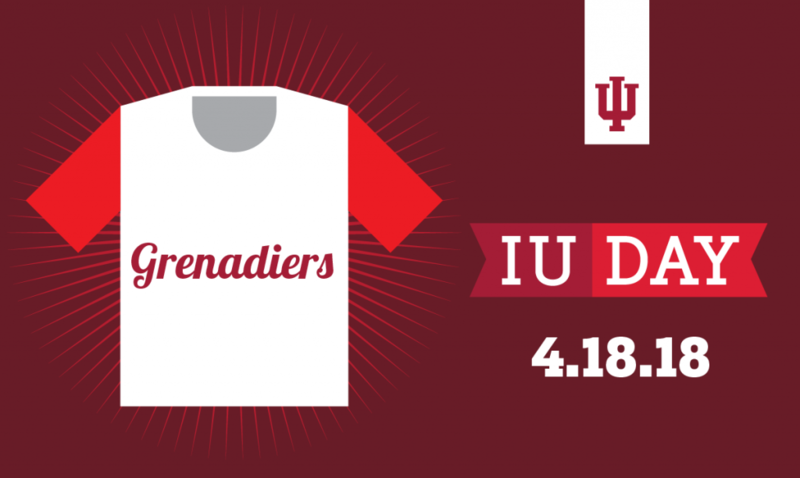 Take a selfie at the IU Day photo booth in the Commons from 11 a.m. to 1 p.m. Post your picture on Facebook, Twitter or Instagram with the hashtag #IUday and get a free IU Day T-shirt. Take part in our trivia contests and photo challenges throughout the day on Twitter (@IUSoutheast) and Snapchat (iusoutheast). Be the first to answer correctly, and you’ll win IU gear! Share your photos of future IU fans, crimson-clad paws, and your travels around the world on social media with an #IUday hashtag for a chance to win $2,000 for your favorite IU cause. The IUDayteam will select winners for the IU Is Everywhere, Best-Dressed Future Alum, and Best-Dressed Pet Challenges. For more information about these contests, visit the IU Day Social Media Photo Contests page. Help beautify our grounds around campus from 9 a.m. to 11 a.m. Volunteers will receive a free shirt and will be supplied with gloves and tools. Meet at McCullough Plaza. Support the university you love! Donate to IU Southeast student scholarships through the Chancellor’s Medallion Scholarship Fund or visit give.iu.edu and follow the instructions. Visit iuday.iu.edu throughout the day for IU trivia, games, mini lectures, videos and more. Celebrate IU Day at Flat 12 Bierworks in Jeffersonville with the IU Southeast Alumni Association and the IUAA Louisville/Southern Indiana Chapter. Wear your IU gear, catch up with your college friends and enjoy an evening of celebrating everything that is IU. A portion of the proceeds will be donated to student scholarships.